Alright Eli Roth, you let me down with “Hemlock Grove” but you have a chance to redeem yourself in the movie world with The Green Inferno. 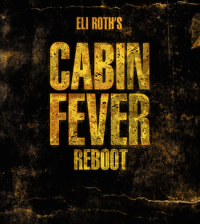 The first trailer for Roth’s upcoming horror thriller has been released via Moviefone. The Green Inferno follows a group of student activists who from New York City travel to the Amazon to protect a dying tribe, but crash in the jungle and are taken hostage by the very natives they saved. It was directed and co-written by Roth (with Guillermo Amoedo). It stars Lorenza Izzo, Ariel Levy, Daryl Sabara and Kirby Bliss Blanton.